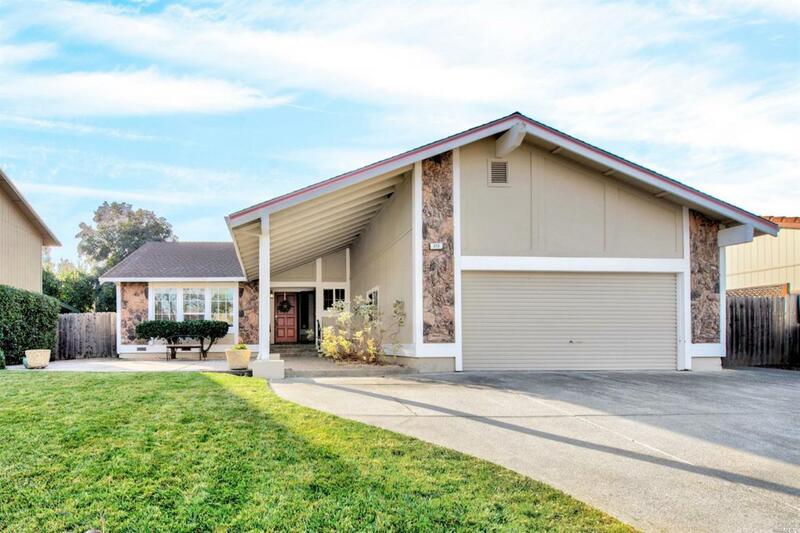 Amazing North Vacaville single story home located in a quiet, established neighborhood! Immaculate residence features an updated kitchen, solar owned outright, laminate flooring, whole house fan, water purification system, recently updated bathrooms and interior laundry. Lot is beautifully landscaped with a large deck in the backyard, custom patio overhang with fan, spa, artificial turf grass, spacious side yards and shed. Kitchen Built-In Oven Cooktop Stove Dishwasher Incl. Hood Over Range Microwave Incl.